First Aid Kits and Accident Books are vital to any working environment, allowing you to not only record incidents, but resolve minor incidents on-site. 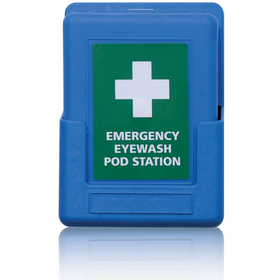 For emergency eye-care, eye wash kits are also available, allowing you to irrigate the eye on-site. 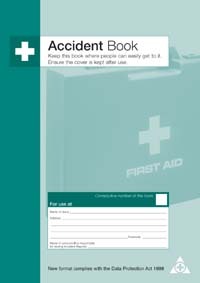 An Accident Book is used to log any incidents which occur in the workplace, no matter the severity. It's a legal requirement under RIDDOR (Reporting of Injuries, Diseases and Dangerous Occurrences Regulations) for every workplace to have an accident book and record incidents. The contents of a First Aid Kit can vary, but as a standard they contain: Cleansing wipes, Burn Dressings, Eye Pads, Plasters, Foil Blankets, Bandages, Disposable Gloves, Safety Pins, Dressings of various size and Tape. 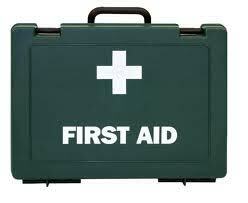 The aim of a first aid kit is to ensure that minor injuries can be treated quickly and safely within the workplace.